I have struggled my whole life with mental illness and the amount of misinformation and hate surrounding it is saddening. I have dedicated my life to helping others with these manageable conditions and teaching the public about mental health. 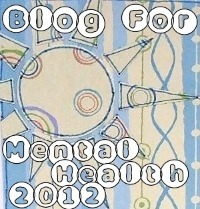 My blog has been very therapeutic and the amount of people I am able to touch is amazing. I have met great new friends and spread some great information. I will continue to help those who need to be fought for. Read the post in its entirety! 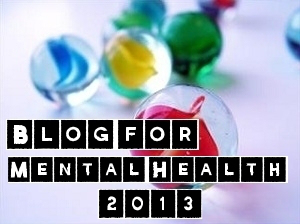 Visit Mental Parent – Blog For Mental Health 2014: My Pledge. This entry was posted in Mental Parent and tagged Blog For Mental Health 2014, health and wellness, mental health on 2014/07/01 by Ruby Tuesday. When I asked for help, it was almost ten years after the symptoms started, and for all of that time, I have suffered. Sometimes in silence, sometimes screaming. The stigma that came along with the diagnosis, ruined my professional life. No, it has ruined everything around me. Instead of getting help finally, I had to bear two problems at a time. The illness and the stigma. I hope the society will one day understand how mental illness is just the same as physical one. Read the post in its entirety! Visit THE BORDERLINE PERSONALITY BLISS AND MESS – Mental Illness And The Stigma. This entry was posted in THE BORDERLINE PERSONALITY BLISS AND MESS and tagged Blog For Mental Health 2014, health and wellness, mental health on 2014/07/01 by Ruby Tuesday. I just quote the above from the site.. For weeks I have been thinking both about this quote and the pledge itself, (which I will get to in abit) is it just me? I wonder… am I the only one who does not find it “that simple” to to write a post and make the pledge? Without a doubt I support this page, I believe having a go to page for mental health is am amazingly helpful thing, brings much support/comfort to people, as it has me and the stigma, hush hush often found around the subject of mental health needs to be broken.. So what’s my issue? why has it taken so long to write this entry? Read the post in its entirety! Visit No one gets left behind – Blogging for mental health…. 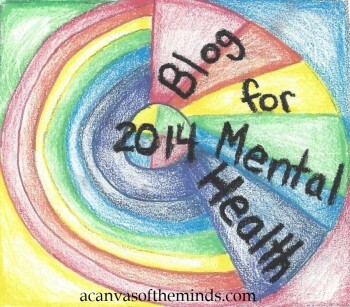 This entry was posted in No one gets left behind and tagged Blog For Mental Health 2014, health and wellness, mental health on 2014/07/01 by Ruby Tuesday. 10. The grass is not greener – everyone I meet is going through some kind of personal struggle. Maybe their struggles aren’t visible – many people hide theirs. If you find yourself wishing for someone else’s life or circumstances, channel that energy into finding ways to improve your own life. As an anecdote on this one, I had a fellow group member in my group therapy comment that for someone who says they deal with depression, I really didn’t seem all that depressed. The truth is, he had no clue. I started that group after my most recent depression episode had ended. And thanks to a lot of medication and therapy over the years, I am no longer depressed 24/7; I’ve actually become quite bubbly outside of those episodes. So of course I didn’t look depressed. That didn’t mean that I don’t still have very real struggles. That I don’t have to be extremely careful of my triggers to do my best to avoid more episodes. The point is that we all have ish to deal with. Even when it doesn’t look like it. Read the post in its entirety! Visit Passion for Life, Love, and Health – 28 Huge Lessons Mental Illness and Weight Loss Have Taught Me. This entry was posted in Passion for Life Love and Health and tagged Blog For Mental Health 2014, health and wellness, mental health on 2014/07/01 by Ruby Tuesday. It is so much easier to dismiss people along with their suffering and hard earned accomplishments, than to recognize their triumphs and truly understand why they are struggling or what their behavior is about. It is complicated; very difficult to take another’s perspective, especially one with mental health problems: this we all accept. Think about it, mental health challenges make us inconsistent, irrational at times, unpredictable at other times; even untrustworthy; we stand out from the norm. It does take a lot of compassion and insight to understand and respect people, but surely we can find a way. COMPASSION; is something those of us who have suffered from mental health challenges, are really good at! Yes, we know suffering inside and out; and as a result, we have real respect and compassion… in spades! As survivors and people who overcome stress on a regular basis, we ARE sensitive, compassionate, multiperspective and intuitive- we have to be to survive. As a result, we can take other peoples’ perspectives quite easily without judging them. We don’t throw our hands up and criticize; nope… we understand and we know better. Read the post in its entirety! Visit The Benefits of Dissociation: Pledging to recognize the gifts in all of us! | Making Good. This entry was posted in Making Good and tagged Blog For Mental Health 2014, health and wellness, mental health on 2014/07/01 by Ruby Tuesday.